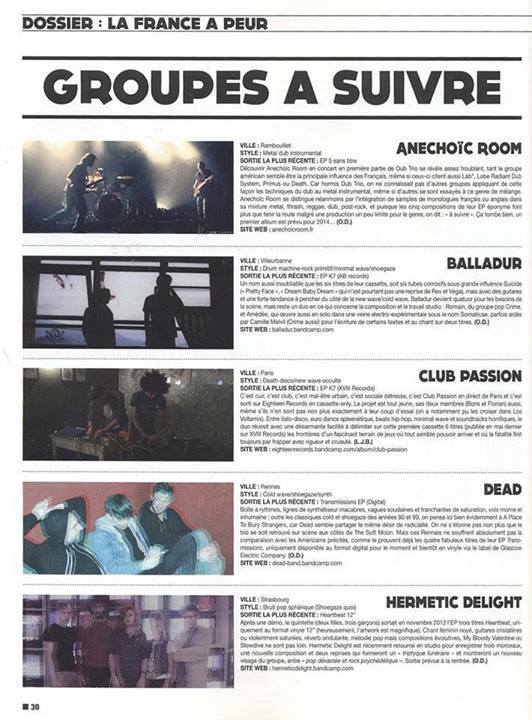 We are in the New Noise mag. As a band to watch. Cheers! This entry was posted on July 26, 2013 by Otto Diktat. It was filed under What's New and was tagged with Edouard Balladur, groupes à suivre, Heartbeat, Hermetic Delight, La France a peur, Magazine, New Noise, post punk, rock, shoegaze.